Birmingham's first annual Hip Hop festival launches this Autumn with three days of free events. 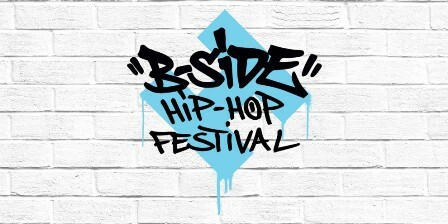 B-SIDE Hip Hop Festival will be a celebration of all things hip-hop across the weekend of September 23 to 25 and has been programmed by local hip hop artists and legends 'Marso' Riviere, Juice Aleem, Dance Nuvo and Break Mission. 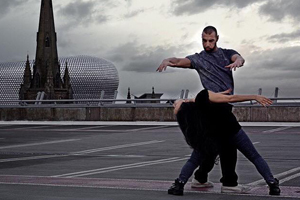 The festival, produced by Birmingham Hippodrome and The Old Rep, features a range of outdoor 'pop-up' performances, sci-fi film, spoken word, talks and graffiti artists alongside more explosive street dance crews and b-boys/b-girls battling it out for cash prizes. This new initiative builds on a range of grassroots hip-hop events and projects with the principal aim of providing a platform for Birmingham and the wider region's local talent to take part and perform. Mickael 'Marso' Riviere, independent choreographer and founder of Company Decalage, said: "Birmingham's leading exponents of Hip-Hop are coming together to deliver a rich and diverse line up which promises to make this event one of the greatest Hip-Hop celebrations the city has witnessed in the last 20 years." The festival opens on Friday September 23 with a Hip-Hop Conversation and Q&A hosted at The Old Rep, which explores Birmingham's local to global hip hop stories and the journeys of its pioneers to the present day. This will be supported by local DJs and performers including Rose One, BOM 5, Chief 69, Buddha Stretch and Focus. On Saturday September 24, the festival comes to life with a day of youth-driven performances and workshops at The Old Rep led by international artists like Caramel and Steady from Flawless Dance Crew. Dance Nuvo has co-ordinated these sessions. Meanwhile, Break Mission will be hosting the Just Jam International qualifier heats, where performers are required to donate food and/or clothes for local homeless charities in order to take part. Winners will have the chance for free travel and accommodation to the Just Jam International Finals and SDK 2017. Performances will be judged by Focus of FlowMo Crew from Finland, American Buddha Stretch, Gabor of Enemy Squad from Hungary and British talent BBoy Mouse. Caramel has over 15 years experience and is leading a workshop. Further 'pop-up' performances will take place in and around the city. These include West Midlands-based B-boys and choreographers Marius Mates and Andrei Roman with Irreversible - a Hip-Hop Theatre duet. Other highlights will be Si Rawlinson's solo of Finding Words, Marso Riviere's KRE8! with a creative all-styles 2 v 2 dance battle, and Frantic Assembly performing at New Street Station and on the streets of Southside with a new piece made in Birmingham by trialists and graduates of their Ignition talent development programme. On Saturday evening, Birmingham Hippodrome hosts one of Birmingham's finest MCs, rapper and writer Juice Aleem's Afroflux. There is also a series of talks, poetry and film inspired by black sci-fi and Afrofuturism, leading to a house party which will close the Saturday programme. 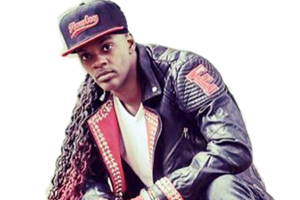 The main event is on Sunday when all artists, judges, hosts and DJs take over Birmingham Hippodrome's foyer spaces and the Patrick Centre for the Break Mission x Just Jam International semis and finals while Dance Nuvo hosts an All-Style Youth Battle. The day will also include the notorious Bones-to-the-Stones battle on concrete and 7-to-Spoke, which is a new rap/spoken word battle. There are also performances from Beatfreeks' Verbalise programme in partnership with YAY16 (Birmingham's Year of Arts and Young People). Birmingham Breakin' crew MDK will celebrate its 10th anniversary over the weekend, and to top it off, some of the best graffiti artists will be creating works on the Hippodrome Piazza, led by local graff legend Panda / Flake. A mix of free and paid-for house dance and hip-hop workshops will be available in advance and during the weekend, alongside a series of hip hop choreographic dance 'labs' for professionals, with leading dance artist and choreographer Marso Riviere. These labs will lead to several curated performance opportunities over the weekend. Graham Callister, Birmingham Hippodrome's Director of Creative Programmes said: "We recognise that Birmingham and the wider Midlands region has a long association with and demand for Hip-Hop culture, from the production of artists and performers to music producers and audiences. Through the new B-SIDE Hip-Hop Festival we want to provide a platform to engage with and celebrate today's talent from the city region and further afield."